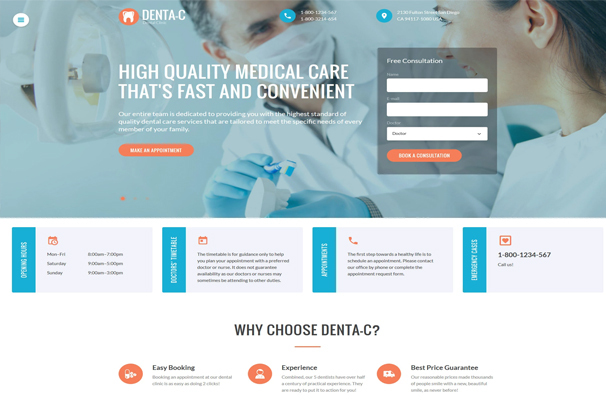 We have put together this list of over 40 Medical Website Templates which could be used for doctors, dentists, physios, cosmetic surgery, opticians, nursing homes, weight loss and just about any other type of website in the medical field. 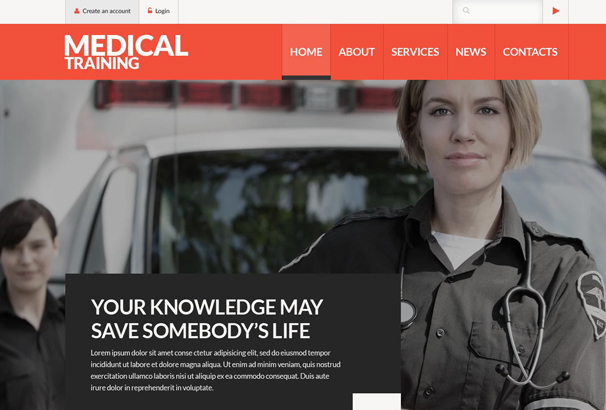 Known for offering a neat and a clean look to your website, this template is packed with all the necessary features needed to create a Medical website. From displaying your team, services that you offer, necessary widgets to showcasing doctor’s contact information, this template covers it all! The map at the bottom of the website eases your location for your clients. 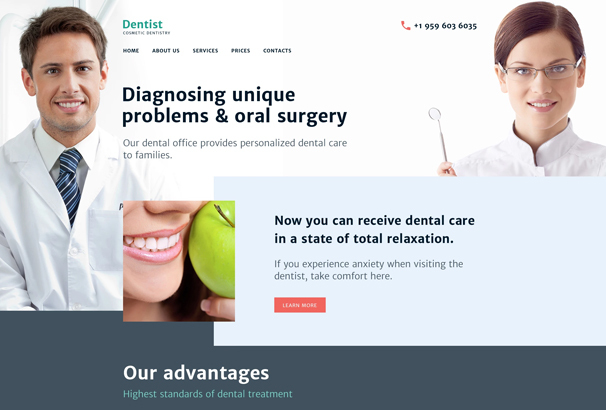 Thanks to Bootstrap in its core, this highly responsive template with flexible texts and images and Google fonts is all you need to create a professionally looking dentist website. It includes sliders that will highlight all you want to in a captivating way. 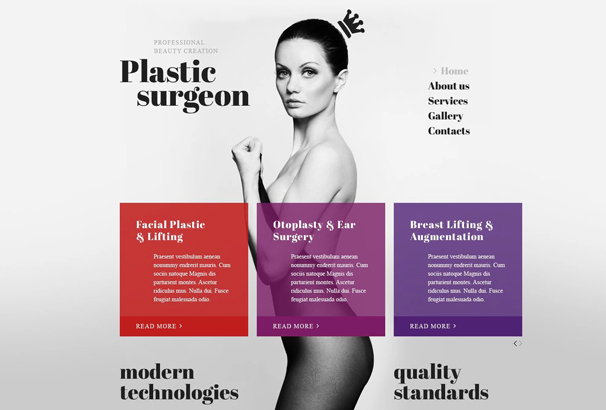 If you are looking for a multipurpose, responsive website for your plastic surgery clinic then you must definitely go for this template. To enhance the look of your website, check out its multiple gallery types, header and footer layouts, neat and attractive background tone and parallax scrolling effect. Further, multiple widgets, navigation options, and Google maps also add up to its features. 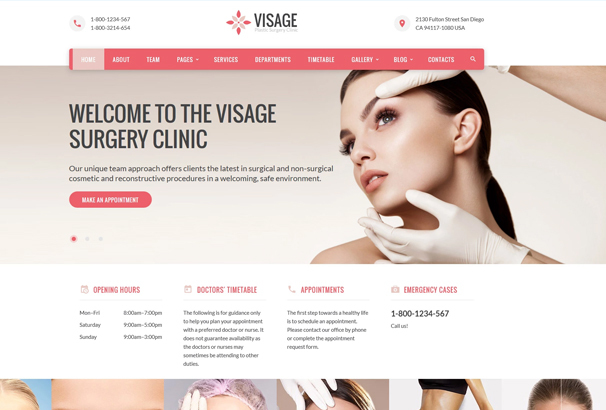 It comes with vibrant and gentle design exclusively fit for creating a plastic surgery website. 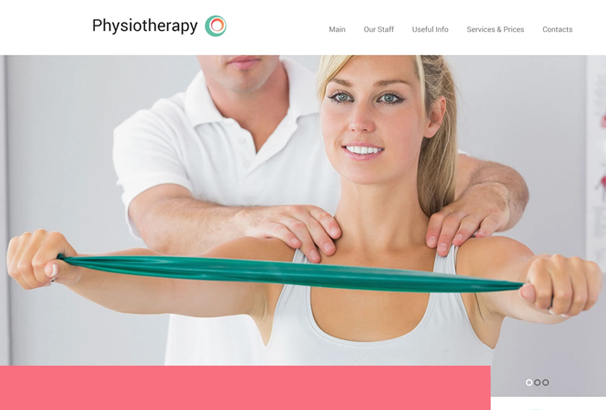 It’s parallax scrolling effect and LazyLoad helps enhance the look of your website. Cross browser compatibility and high responsiveness of this template make it more adorable to use. 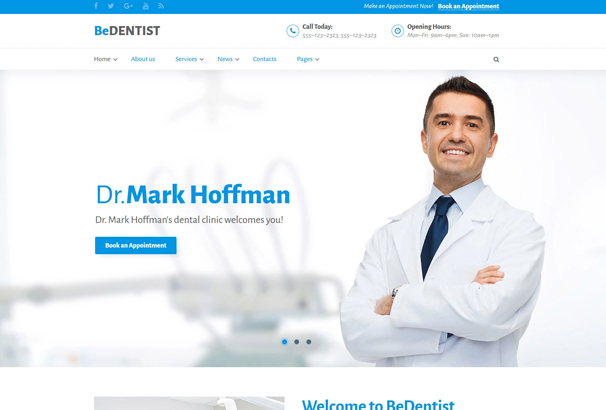 Want to take your dental care business online? Don’t worry, this template is here for you! With this fully editable template, you can create your own unique business web page with the help of its 35 ready-madee HTML pages and a customized user interface. Multifarious gallery choices, 5 ready-made blog layouts etc are the other features that work in your favor. This user-friendly websites template comes with templates, themes, and designs that are easy to work with. It contains well-organized layout with all the necessary information you want to showcase your audience. Built with Bootstrap 3.2.0, this template helps you bring your business online. It comes with Call to Action buttons, editable customer testimonials, integrated videos etc. Your website can also be connected to various social media platforms by their social widgets. 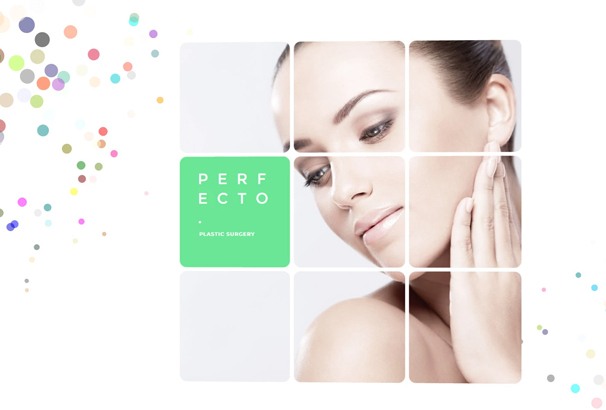 Other features include multi layered image block, parallax effect to enhance look as well as offers a choice of forms. 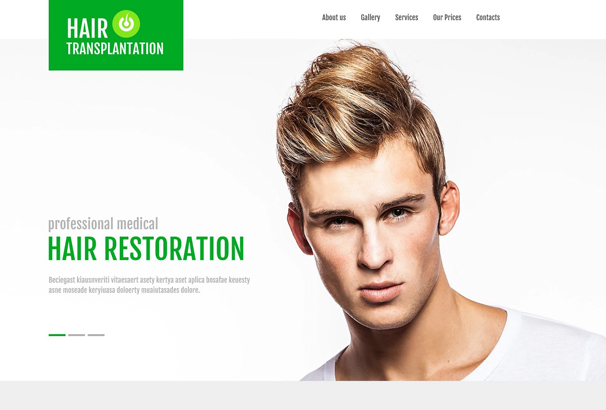 It is a Bootstrap template suitable for hair clinic. It’s loaded with tools and features aimed at enhancing user experience. It’s live search option helps visitors find the information they need easily. 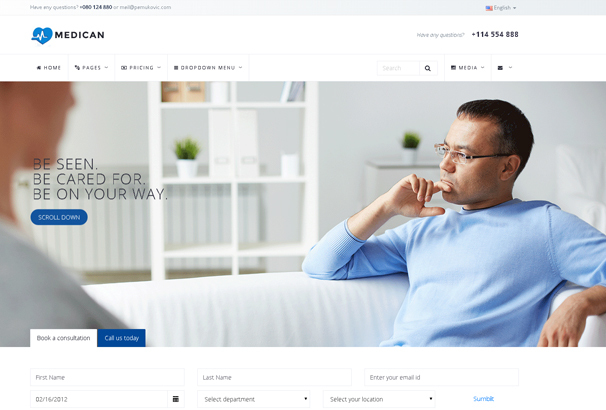 Online chat option helps visitors reach out to you, Google maps help them locate you and using newsletter subscription they can easily access your special offers. 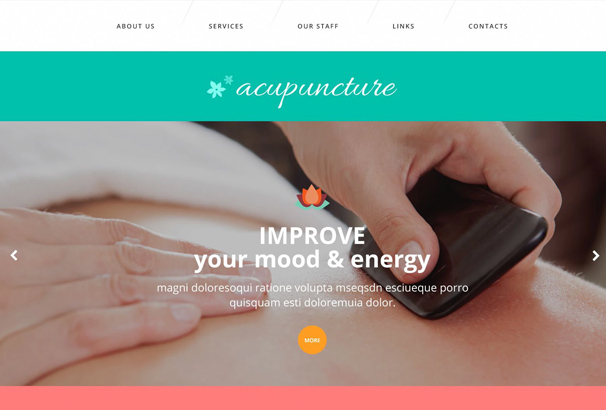 Built with HTML and CSS in mind, this professional looking, user-friendly template promises to showcase your services in the best possible way. It contains images and banners as a separator to the content blocks. Its contact forms let users subscribe to your latest updates and the Google maps help visitors locate you. 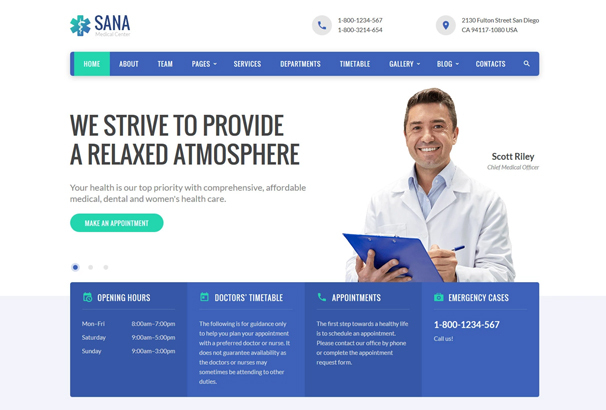 Coded with HTML, CSS and SAAS, this responsive, cross browser template is a perfect solution in case you want to create a medical website. Four banners below the slider explain you the benefits of a family doctor. Additionally, you can also share important contact information to your social media pages. Designed perfectly keeping in mind a clean and a clear look so that your website doesn’t look overloaded. Features such as responsiveness, make the template adapt to both desktop and mobile screens resolution. 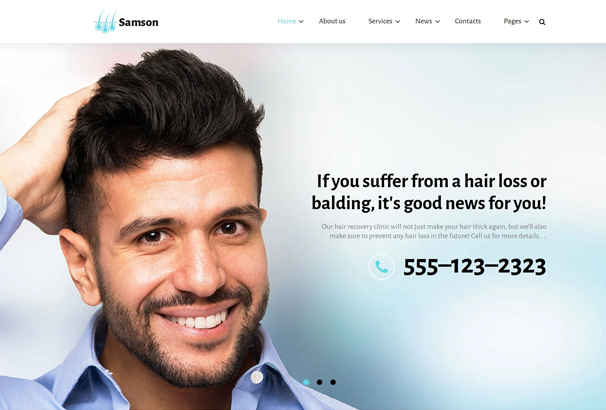 If you want to give your website a clean and a reliable look, this website template would suit best for you. With features such as high responsiveness enhances its usability on mobile gadgets and Google maps help your visitors locate you easily. 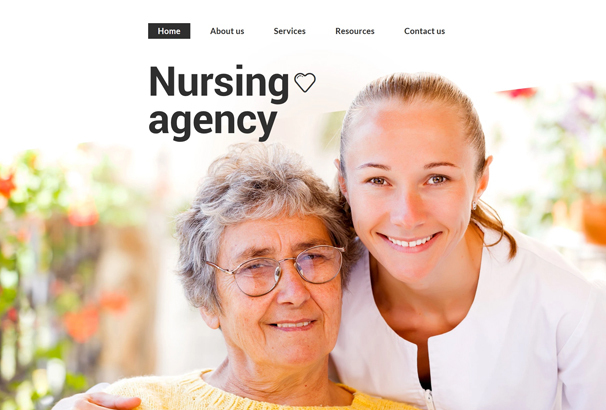 This website template works best if you want to display the care that you intend to serve through your nursing agency. Engraved with positive designs, bright color themes, and happy customer testimonials, this template induces positivity among the visitors. 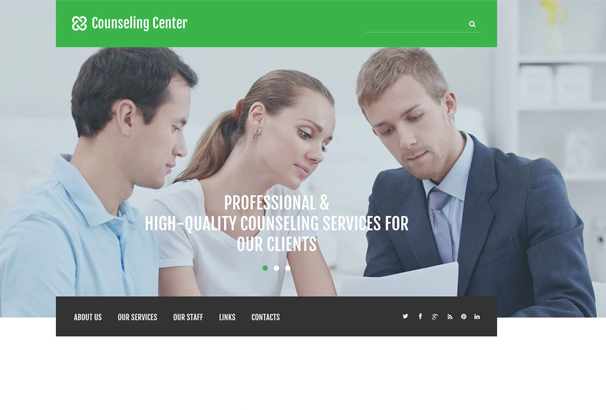 This template can be a trusted partner if you aim to offer a high-quality counseling service. Full-width slider presents your team at work, large typography helps visitors find all they need easily and grid based layout offers a clean and presentable look to your website. It’s in-built Google map helps locate you and high responsiveness enhances user experience. Looking for a flexible and dynamic theme to cater your website needs? Check out this template. 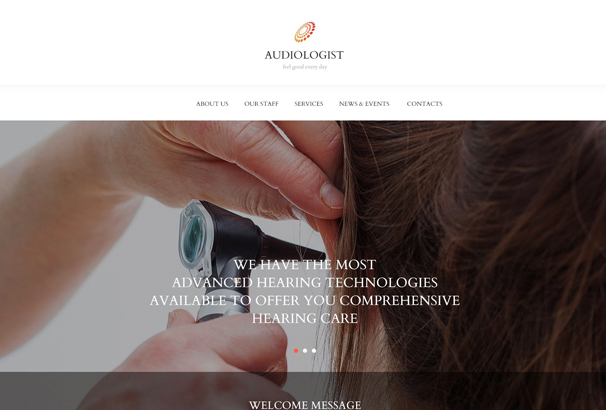 Thanks to its clean, minimalist look engraved with full-width slider, flat layout, readable fonts, modern web design and circular elements, you can easily attract the attention of your potential customers. 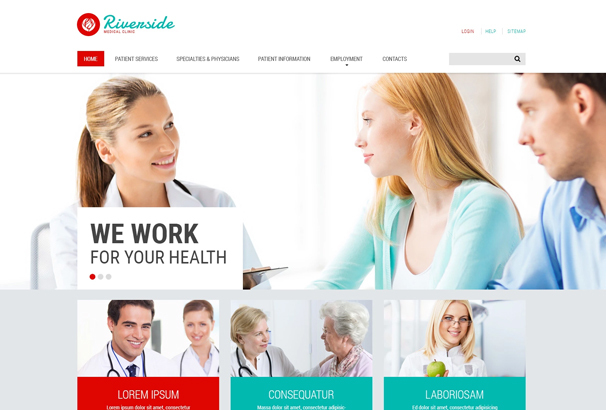 This template is rich in features and professionally designed medical template that can be seamlessly modified to cater your website needs. It’s easy to set up and install features can be just perfect for you to handle. 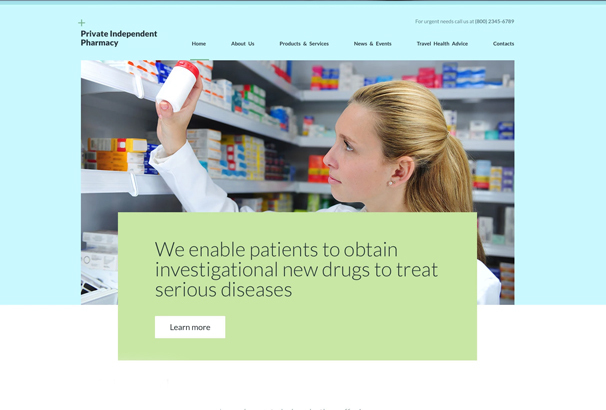 Are you looking to create a drugstore website that can be responsive as well as offers a professional clean look? Try this template today! Applying desired changes becomes easy with its layout. It’s packed with features such as Retina-ready images, sliders, parallax scrolling which makes your website more inviting. Nothing attracts more than simple and a calm look. This is what exactly defines this template. 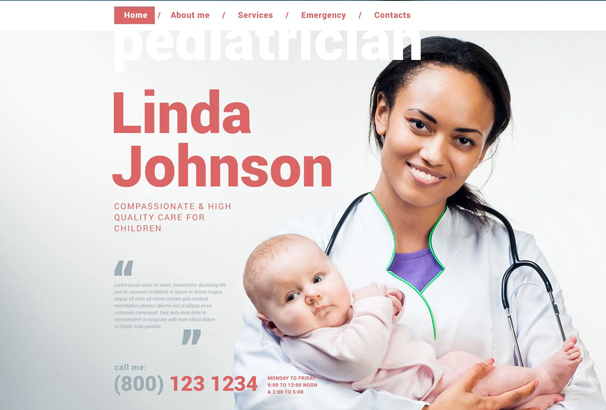 It’s strikingly yet simple visual effects is specially designed for a pediatrician website. Moreover, its homepage consists of full-width images, parallax button etc that give you more reasons to work with this template. Video embedding is one of the special features of this template. 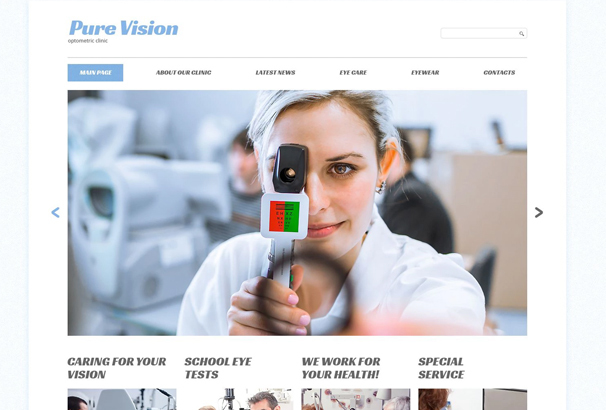 This helps your visitors know your vision more closely. It features pixel perfect graphics that enhance user experience and polygon background makes your website look attractive. 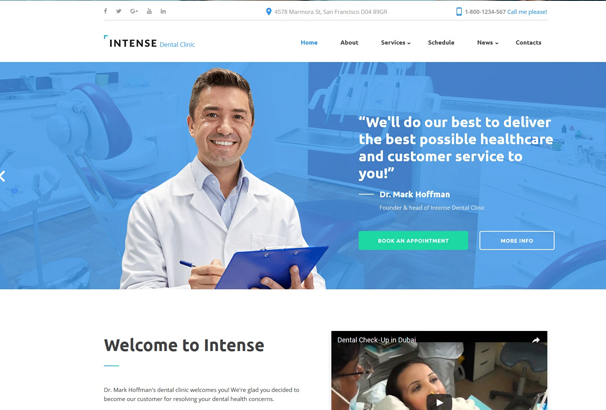 Pre defined blocks that it features highlights the clinic’s advantages, news, events and customer feedbacks. 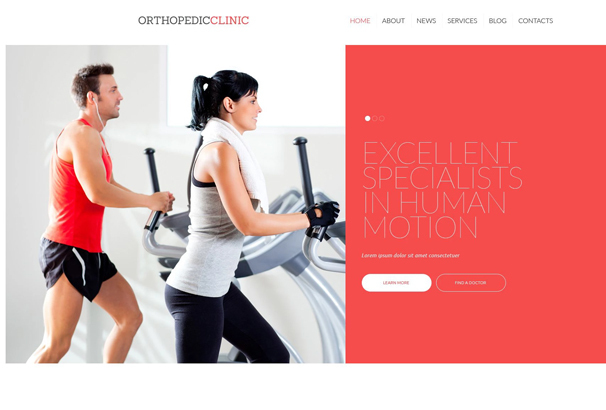 Trust this template when it comes to creating a professional looking orthopedic clinic. With its simple features such as the use of white background and icons to simplify the content for the users, this template can fulfill all that you need. Further, the Author enhances readability and the slider contains company slogans with Call to Action buttons. Easily navigable layout, simple menu structure, and grid based content organization are what makes this template easy to use. Simply filter information by disease type and get answers to your health queries. Features such as soothing color themes help highlight your key points as well as promises to offer your website an elegant and classy look. Equipped with features such as large hero area with a drop down menu makes this template perfect to use. To build trust your team members’ photos and testimonials are displayed. Other options include online chat, booking, contact, newsletters, subscription forms that make interaction with customers easy. 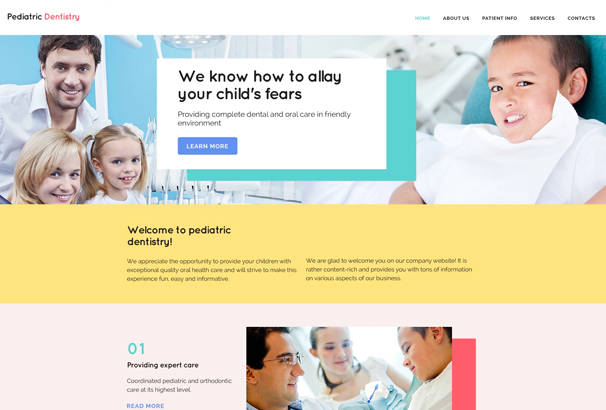 Looking for a fully responsive custom built website template for creating a pediatric dentistry? Welcome to this unique website template. With its layout packed with well-structured blocks, showcases customers testimonials, your team and other details effectively. Dynamic parallax effect and skillful blend of colors can surely cast a spell on your potential customers. Try this optimal template today. 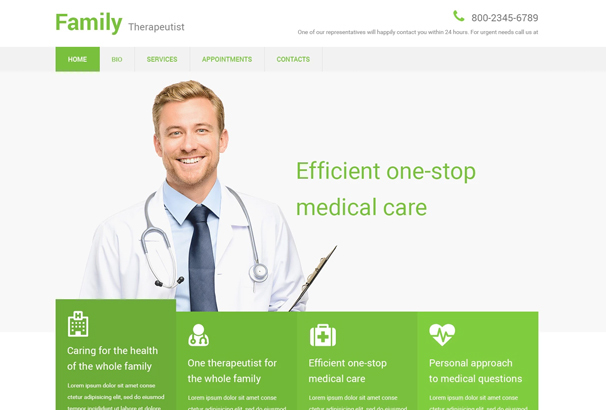 Create your own medical website in a minimum time with this highly responsive and highly configurable responsive template. Clean layout, vivid Call to Actions and features such as mobile menu, ScrollPane, ScrollEffect, SuperFish, drop down Menu, Google web fonts, maps, sliced PSD and detailed documentation features define this template. 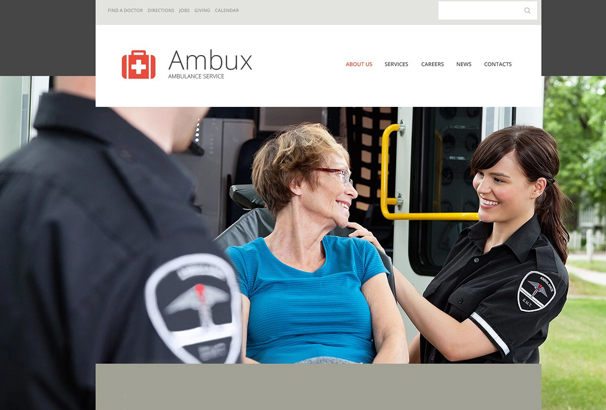 Designed specifically for rendering ambulance services, this template caters everything you need for the same. Information about featured services, the latest news is given to the user with a free consultation. Not just this, it also has social sharing block located in the footer. Flexible, customizable, responsive banners with bright buttons and Call to Action is all you need to create an engaging website and this template offers all of it. Additionally, full-width slider, background images, contact information makes it more desirable for you to use. 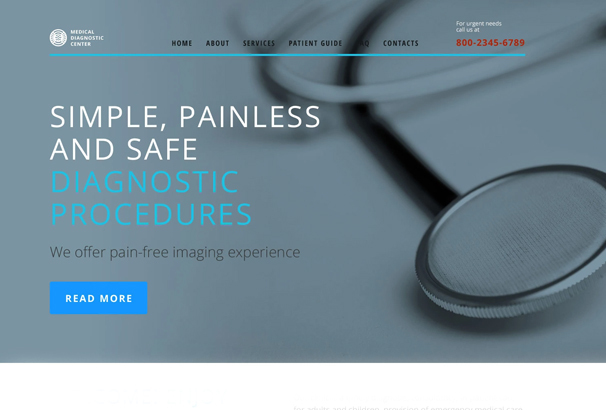 With bright banners to catch user attention and Call to Action, this template can be an ideal choice when it comes to creating a medical website acutely for plastic surgery. Chief features include responsiveness, ease of customization due to HTML5 and CSS3. Thanks to its SEO optimized feature, your website will rank high in search engine. 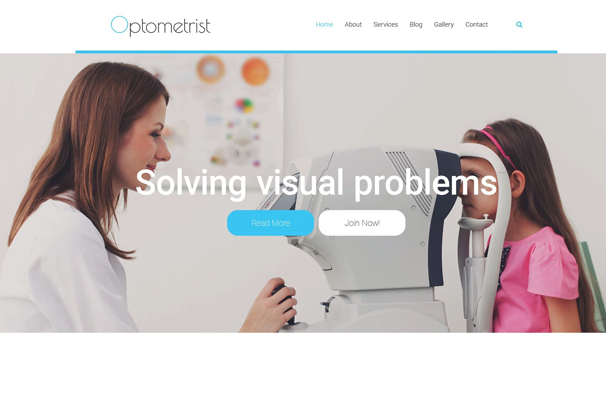 Developed particularly to promote eye care, this template with clean design, white blue color scheme can really be soothing to the eyes. Responsive sliders make it easy for you to browse the website on any platform. Acupuncture has evolved as the new cure for any disease type. And this template would simply present your services stand out. Colored content blocks with different hues help make your website look more appealing. 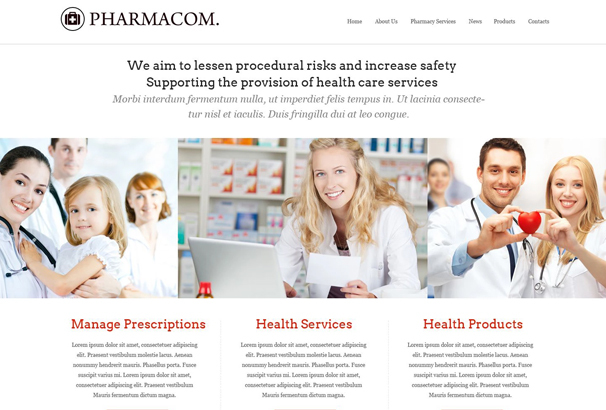 With readable text among a lot of white spaces offering a clean look is what you need for creating a website for drugstore. Colors and rich content is blended so perfectly that the content doesn’t look cluttered. Merely opening a training school is not enough. It also requires proper promotion. Use this template to convey your goals to the visitors. The contrast of white, black and red colors that the palette provides is well suited for such organizations. It’s Google map makes it easy for the visitors to locate your school. 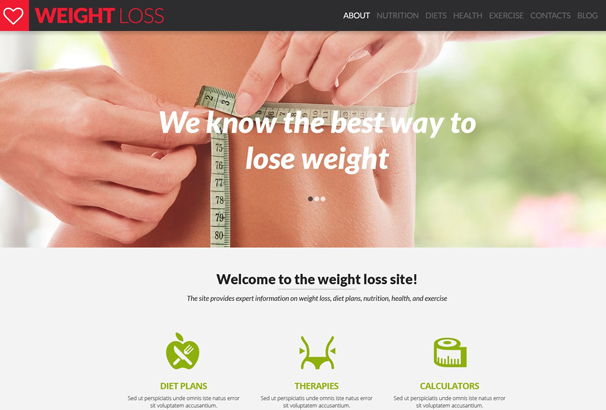 Try out this amazing and user-friendly template for your fitness blog. It has everything that a modern blog needs to achieve success. You are surely gonna love this template. 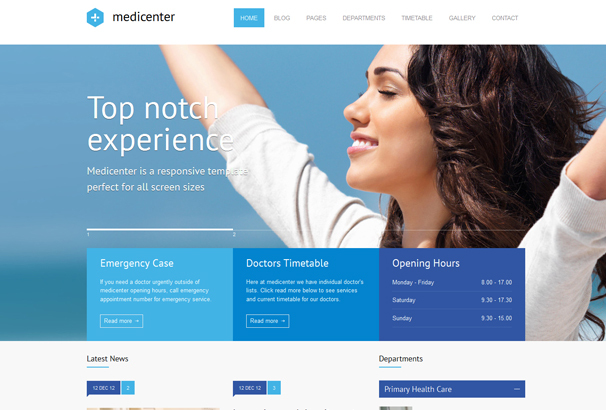 MediCenter is a fully Responsive and highly flexible template that perfectly fits into the websites related to doctors, health clinics, hospitals and medical organizations. 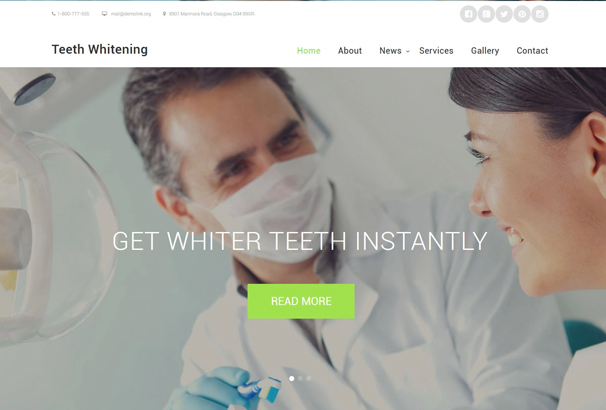 You can also use it for any health or beauty related businesses like medical laboratory, spa, gym, health care professionals like dentist, surgeon, ophthalmologist, physiotherapist, psychiatrist or psychologist etc. 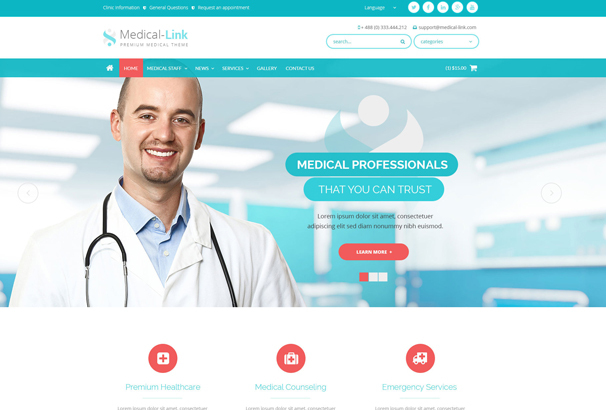 Medical-Link is yet another fantastic template that deserves your attention. 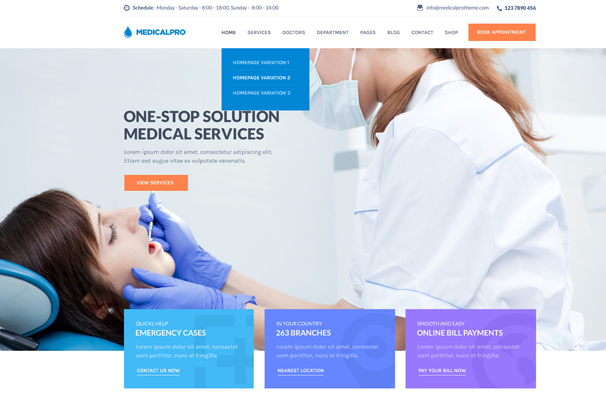 Packed with tons of amazing features and lots of customization effects this premium medical HTML5 template is designed specifically to meet the needs of medical professionals, practitioners, doctors, nurses, clinics, hospitals and anyone associated with the healthcare industry. 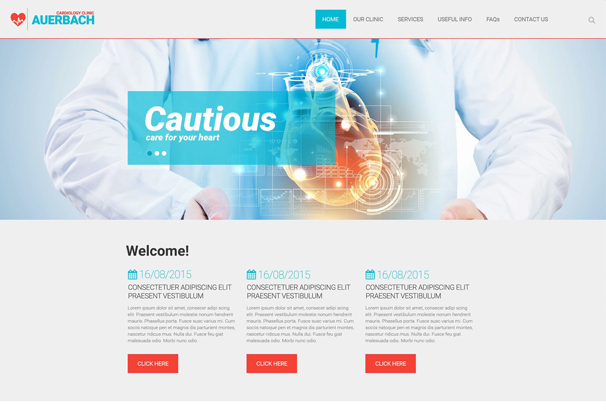 MedicalPRO is Premium HTML Template for the Medical Industry. This template is Fully Responsive (Twitter Bootstrap 3x) and Easy to Customise. 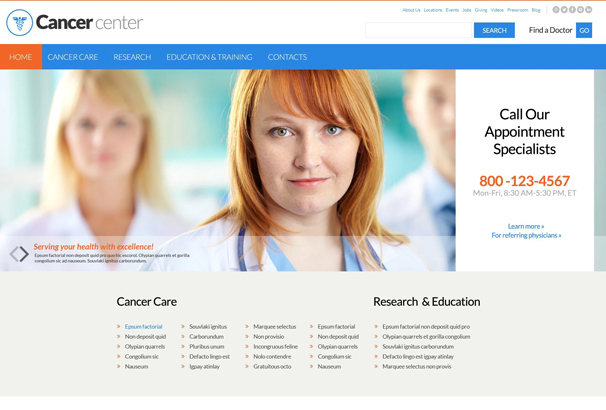 MedicalPRO comes loaded with an extensive list of Features and Page Templates. you are surely gonna love this brilliant template. Although the name sounds like the template is a medical niche one, you can also use it for other niches like fitness sites, gym and spa, beauty blogs etc. 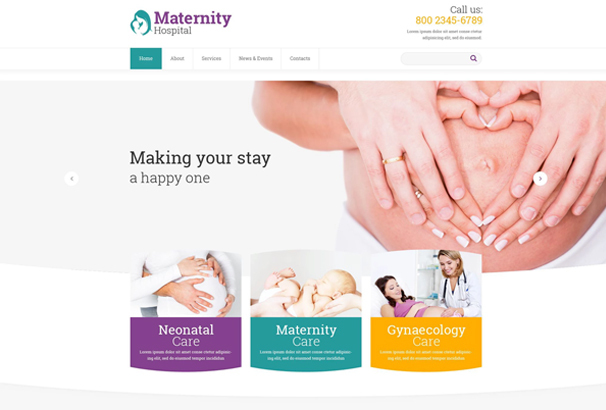 You can also use the theme gives corporate feels which also suitable for business purpose. 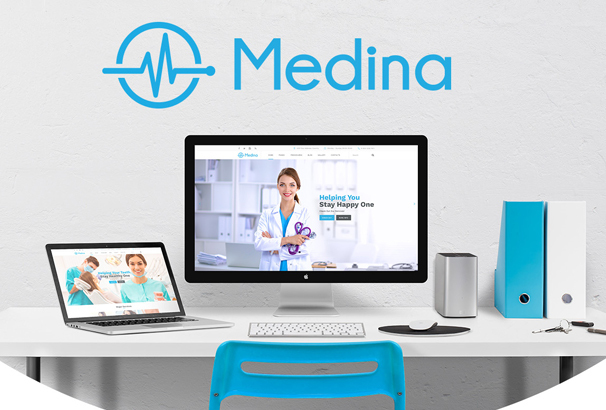 Medina is one of the most unique WordPress templates for doctors pages, hospital or private clinic sites. Create your website with Medina and bring out the best look that your site deserves. 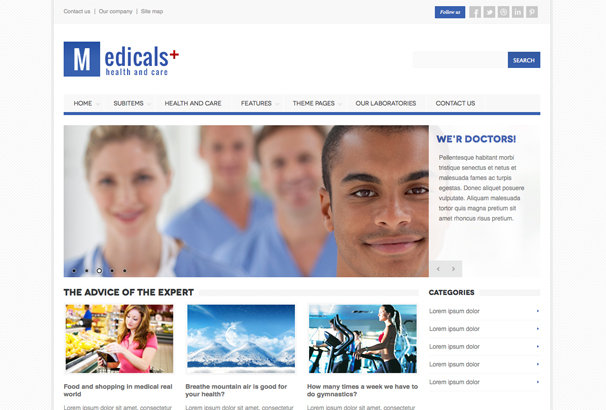 Medican is a premium health care template, which will help you build a stunning health and fitness related website without any coding. You can use its customization options to enhance the overall visuals of your site. 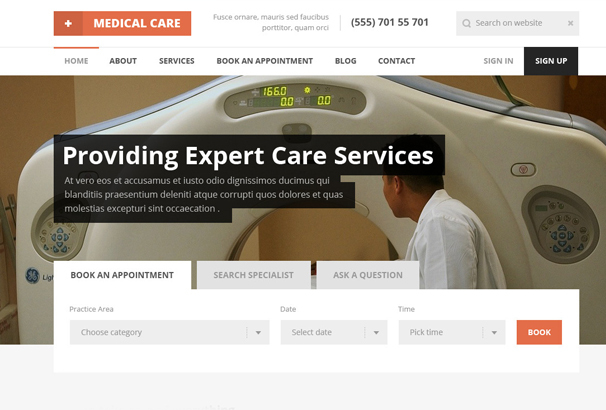 Another fantastic Medical website template is the Medical Care HTML5 template. This template like most modern templates is thoroughly responsive and comes jam-packed with amazing features.